GP35 701 at 19th Street Yard, Kansas Cit, MO in November 1975. This entry was posted in CA Collection and tagged 701, Electro-Motive Division, GP35. Bookmark the permalink. 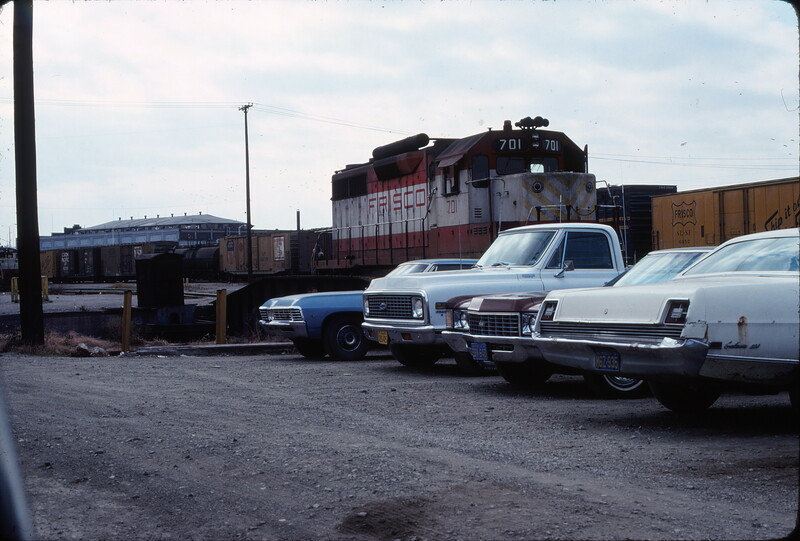 19th Street Yard, Kansas City, Missouri with the old American Royal Building in the background.